Gur bans members from volunteering as paramedics or with police department, warns children of volunteers will be removed from school. Leaders of one of the largest Hassidic movements in Israel have banned members from volunteering as emergency medical first responders or volunteer police officers, warning that members who do not comply with the new order will not be permitted to enroll their children in schools affiliated with the movement. According to a report by Kikar Hashabbat, the Gur [also written as Ger] Hassidic movement, which claimed to include some 10,000 families worldwide in 2015, has issued a directive prohibiting members from volunteering with the Israeli police department or with the MDA or United Hatzalah organizations, both of which provide emergency medical services across Israel. Schools affiliated with Gur will now require all parents to sign a form confirming that neither parent is volunteering with MDA, United Hatzalah, or Israel Police. Refusal to sign the form will result in the removal of the family’s children from all Gur educational institutions. 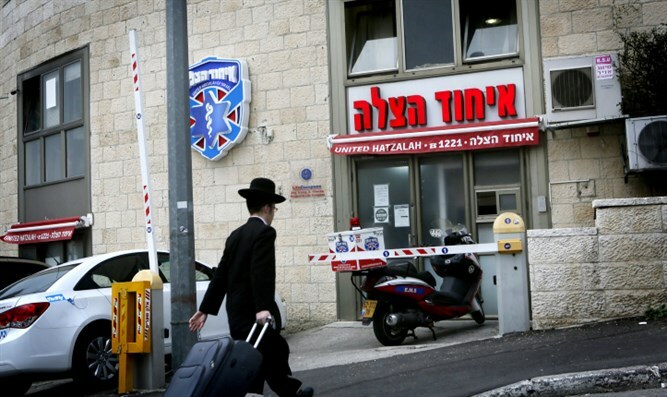 The move is unprecedented in the haredi community, where volunteer service with MDA and United Hatzalah are popular alternatives to military service, and which ensures that a large number of emergency first responders are present within haredi population centers, reducing response time.